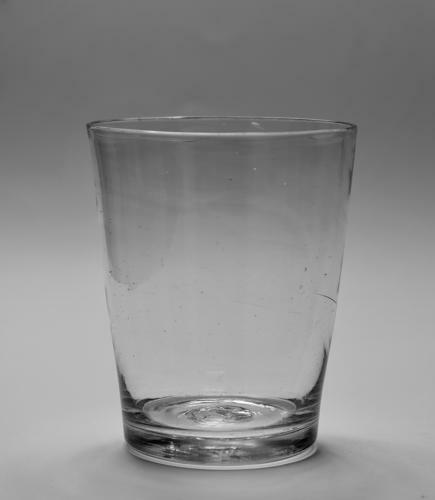 Plain straight sided tumbler. English C1780. Note: A fine quite lightweight tumbler with good striations.